Boris Johnson, the mayor of London, has revealed more about his plans to kit out the London Underground with a mobile phone signal, announcing that he wants mobile operators to bear all the costs of the installation. 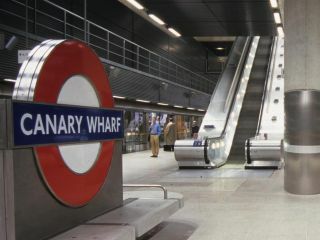 City Hall explained last week that it would not push the cost of getting the Tube mobile-ready to the tax payer, with Johnson preferring that the five big mobile phone operators - Vodafone, Orange, O2, T-Mobile and 3 – would spread the cost of the project. Although no solution has been finalised, according to City AM, the Greater London Authority has said that a solution: "remains dependent on the market providing a credible proposal that satisfies both technical and commercial considerations". According to the Sunday Telegraph, Johnson is hoping to have phone reception installed in the tube network before the 2012 Olympics, something which was also outlined in the Digital Britain report. Last June, however, it was decided by Transport for London that allowing mobile phones to work underground was not "financially viable". Considering that there's been a promise of decent air conditioning in carriages for what seems like forever, we are not exactly holding our breath that we will soon be able to phone folks from under the paving slabs of Baker Street any time soon.